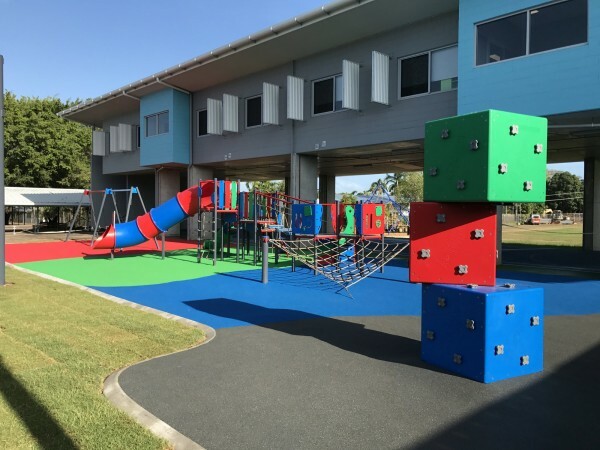 NT Sports & Playground Surfacing were successfully contracted by NTG to design and construct a new playground for Larrakeyah Primary School. 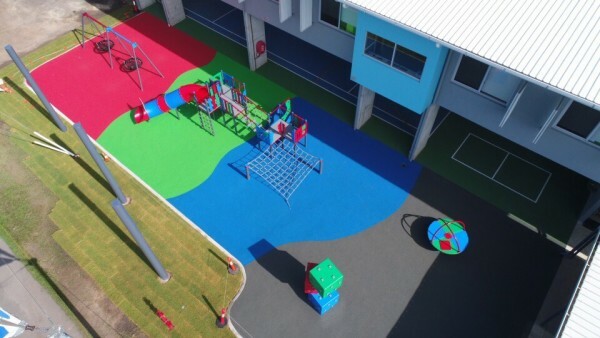 Paying close attention to the scope of the works and understanding what the school was seeking for play value, engagement and development of the children as well as enhancing the aesthetic appeal of the proposed area, NT Sports and Playground designed a play space which met the criteria. ● Erected temporary fencing for the duration of the project and site preparation was underway. ● Service detection was carried out, and the site levelled for installation of equipment. ● Supply and installation of Willplay play equipment. ● Supply and installation of Rosehill TPV® rubberised softfall, and kerbing. ● Supply and installation of shade structures. All certifications, warranties and maintenance guides were issued upon completion of the project.